At the Sawyer homestead, a birthday party is being held by the family matriarch Verna Sawyer (Lili Taylor) for the youngest member of the Sawyer family, Jedidiah. 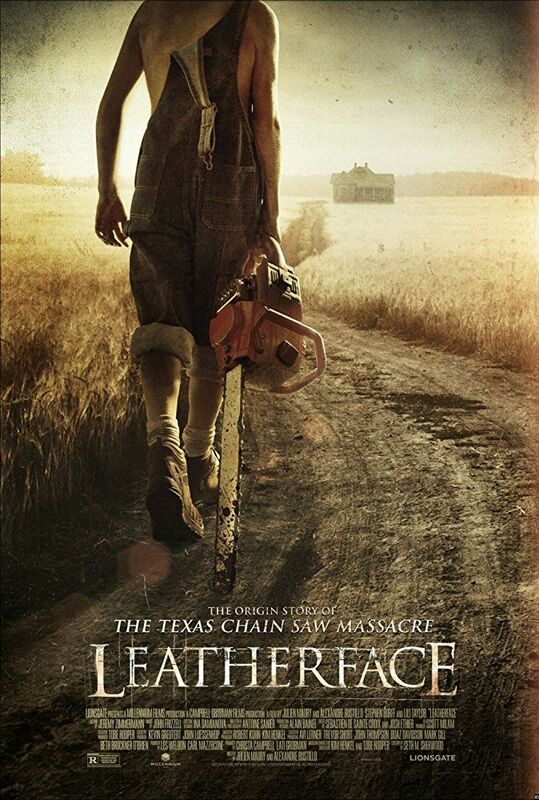 As his birthday present and to induct him into the murderous family rituals, he is presented with a chainsaw and is urged to slaughter a man who they have accused of attempting to steal from them. Jed refuses, visibly disturbed, and the victim is killed by Grandpa Sawyer. In 1955, couple Betty Hartman and Ted Hardesty are driving down a country road when they come across the seemingly wounded Jedidiah Sawyer. Betty follows him to a dilapidated barn, where she is promptly killed by the Sawyer family. Her father, Sheriff Hartman (Stephen Dorff), is called to the crime scene, where he is shocked to find his daughter deceased. Despite the efforts of Verna, Hartman quickly takes Jedidiah into custody as revenge, sending him to a mental institution known as the Gorman House Youth Reformery. Read more on Wikipedia.